Rubrik delivers instant application availability to hybrid cloud enterprises for recovery, search, cloud, and development. By using the market-leading Cloud Data Management platform, customers mobilize applications, automate protection policies, recover from Ransomware, search and analyze application data at scale on one platform. From days to seconds. Rubrik has been named to Gartner’s Cool Vendors in Storage Technologies, 2016, the Forbes Cloud 100, and awarded the NorthFace ScoreBoard Award. EMC Avamar: Fast, efficient backup and recovery through a complete software and hardware solution. Equipped with integrated variable-length deduplication technology, Avamar facilitates fast, daily full backups for virtual environments, remote offices, enterprise applications, network-attached storage (NAS) servers, and desktops/laptops. NetApp core Snapshot™ and disk-to-disk replication technologies help you modernize backup and recovery, adapt to data growth and virtualization, and streamline management of terabytes to petabytes of data. IBM® Spectrum Protect™ can simplify data protection, whether data is hosted in physical, virtual, software-defined or cloud environments. With IBM Spectrum Protect, organizations can choose the right software to manage and protect their data—while also simplifying backup administration, improving efficiency, delivering scalable capacity and enabling advanced capabilities. CloudBerry Lab is a leading cross-platform cloud backup and disaster recovery solution. Cloudberry Lab is integrated with major public cloud services, such as Amazon Web Services, Microsoft Azure, and Google Cloud Platform. CloudBerry Backup comes with powerful, easy-to-use backup and disaster recovery capabilities, including file-level and image-based backups, disaster recovery to virtual machines in the cloud, data compression and military-grade encryption using customer-controlled keys. Customers can run CloudBerry Backup on Windows, Mac and Linux operating systems. CloudBerry also provides a turnkey, white-label data protection service to thousands of VARs and MSPs to help them build their brand in the cloud backup market. Since 2012, CloudBerry Lab has been an Amazon Web Services Advanced Technology Partner. CloudBerry Lab has also achieved Storage Competency Partner status in the AWS Partner Network. For more information please visit www.cloudberrylab.com. Follow us on Twitter at @cloudberrylab. Our integrated all-in-one physical appliance, backup software and cloud empowered DR services are intrinsically simpler, faster and better. EMC NetWorker backup and recovery software centralizes, automates, and accelerates data backup and recovery across your IT environment. NetWorker delivers record-breaking performance and a wide range of data protection options to safeguard your critical business data. NetVault provides comprehensive data protection software for enterprises with diverse IT environments Protect data in diverse IT environments — from one intuitive console -- in this scalable backup and recovery solution. NetVault Backup supports multiple server and application platforms in both physical and virtual environments.That means you can ensure availability of business-critical applications, including Oracle, Exchange, MySQL, SQL Server, DB2, and SAP. With NetVault Backup, you can safeguard information stored on network-attached storage (NAS) devices. It also allows you to back up to tape or disk, as well as leverage data deduplication to minimize your storage footprint. Data Protector is the industry's first unified meaning based data protection solution that utilizes an intelligent data management approach to seamlessly protect and harness data based on its meaning from edge to datacenter and across physical, virtual and cloud environments. NAKIVO Backup & Replication is designed to back up VMware vSphere and AWS EC2 onsite, offsite or in the cloud. Features include: support for live apps and VSS, GFS retention, file level and object level recovery, global deduplication, compression, AES-256 encryption, automatic reports. Backup destination can reside anywhere: in the same location, in the offsite location, or in the cloud. You can maintain multiple secondary copies of your backup in different destinations. ZeroIMPACT recovery – anything to anywhere Optimize your users’ application experience and simplify backup and recovery. Rapid Recovery, the next generation of AppAssure software, lets you protect anything — systems, apps and data — anywhere, whether it’s physical, virtual or in the cloud. Run without restore, with zero impact on your users, as if the outage never happened. Connect to cloud simply and easily, and protect growing virtual environments automatically. Monitor and manage your entire environment – across multiple sites – from one cloud-based management console. Implement easy DRaaS in the Azure cloud with just a few clicks. With Rapid Recovery, you get one advanced, admin-friendly solution — with all capabilities included. vRanger software provides high-speed backup and recovery of VMware®, Microsoft® Hyper-V®, and physical Windows Server® environments. Vembu is a leading software product development firm that has been focussing on Backup and Disaster Recovery software for data centers over a decade. It’s flagship offering- the BDR Suite of products consists of VMBackup for VMware vSphere and Hyper-V, Disk Image backups for Physical machines, Workstations. Backing up individual files and folders to physical servers and cloud can be performed with Vembu Network Backup and Online Backup respectively. Moreover, it has multiple flexible deployments like on-site, off-site and to the cloud through a single user interface. Another offering of the Vembu BDR Suite is to be able to configure item level backups like Microsoft Exchange Servers, Sharepoint, SQL, My SQL, Office 365, G Suite etc., This latest version of Vembu BDR Suite v3.9.1 has come out with the few notable features in two major offerings- one unlimited features for three virtual machines and the second thing being able to backup unlimited virtual machines with restricted features. This latest Free edition of Vembu BDR Suite was designed understanding the setbacks by any common IT Administrator, hence making Vembu an important name in the market for backup as an enterprise-level product for SMBs. This free edition is free forever and IT administrators can continue managing their backups with the trial version without any feature restrictions. Altaro VM Backup is an easy to use backup and replication software solution to back up and restore both Hyper-V and VMware-based virtual machines from within the same application. Eliminate hassle and headaches with an easy-to-use interface, straightforward setup and a backup solution that gets the job done every time. Altaro VM Backup is intuitive and feature-rich - and you get outstanding support as part of the package. Arcserve provides exceptional solutions to protect the priceless digital assets of organizations in need of full scale, comprehensive data protection. Established in 1983, Arcserve is the world’s most experienced provider of business continuity solutions that safeguard multi-generational IT infrastructures with applications and systems in any location, on premises and in the cloud. Organizations in over 150 countries around the world rely on Arcserve’s highly efficient, integrated technologies and expertise to eliminate the risk of data loss and extended downtime while the reducing the cost and complexity of backing up and restoring data by up to 50 percent. BackupAssist makes backups and data protection simple and fast by performing automatic, scheduled backups of Microsoft Windows Servers. Double-Take Availability for Windows is the first real-time high availability and disaster recovery solution to offer options for physical, virtual, and cloud servers. Double-Take Availability allows you to fine-tune your recovery and efficiency targets with flexible RTO and RPO. onQ On-Site maintains up-to-date ready-to-run virtual machine clones of your critical systems that can run right on the appliance, transparently taking over for failed servers within minutes. Rackspace Backup safeguards your business by helping to protect the important files your website or application needs. Quickly get back to normal operations by rapidly restoring files after a system failure or file loss. Vinchin Backup & Recovery is an easy-to-use, reliable and cost-effective VM backup and disaster recovery software to protect multi-types of virtualization environment including VMware, XenServer, RHV/Ovirt, OpenStack and Sangfor HCI with a single user friendly Web console. Acronis Backup Cloud is a powerful, hybrid cloud backup solution for Service Providers that protects more than 20 platforms , anytime, anywhere, faster than anyone else. With zero upfront costs and a pay-as-you-go licensing model, you can easily expand your service portfolio, attract new customers, and realize incremental revenues with a service that puts you in control. Leveraging the power of the Acronis AnyData Engine and built on Acronis Data Cloud, Acronis Backup Cloud is easy to sell and accelerates time to market by integrating with Acronis Disaster Recovery Cloud, Acronis Files Cloud, and Acronis Storage, as well as other popular cloud automation tools and private/public cloud storage providers, including Microsoft Azure and Amazon S3. 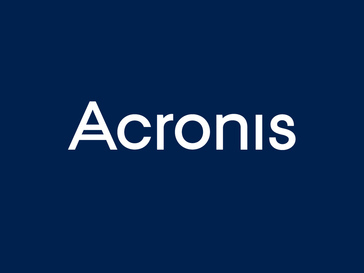 With the ability to rebrand the service and customize the offering, Acronis Backup Cloud is built for your business. Auto Backup Software is an easy-to-use program designed to automaticlly backup your critical data to a local disk, the Network neighborhood or remote FTP servers. Backup Bird helps server administrators to backup files and databases in a secure and easy way. Cohesity delivers a web-scale platform designed to consolidate all secondary storage and data services onto one unified, efficient solution. Fast, Smart, Affordable Server Backup Software. R1Soft Server Backup Manager offers multi-tenant, multi-platform, continuous data protection! Dell EMC NetWorker is a full range of on-premises and Cloud data protection—including backup-to-disk, backup-in-Cloud, LTR to cloud, ProtectPoint backup, snapshot and replication management, and tape—under a common management interface. SQL Server Dumper enables you to dump selected SQL Server tables and save them as local .sql files containing data for a duplicate table or for backup. FalconStor® Virtual Tape Library (VTL) is the industry's market-leading virtual tape solution, unmatched in performance and scalability. With virtual tape, backups complete faster and more reliably, with little or no change needed to the backup environment. Simple, affordable, and reliable VM backup and replication for VMware vSphere and Microsoft Hyper-V.
SysInfotools provide a feature-rich SQL sever database recovery tool, which repair the highly corrupted MDF and NDF. This tool offers high accuracy recovery solution of SQL database file objects like: tables, views, store procedure, triggers, etc. DiskInternals RAID Recovery™ reconstructs all types of arrays.